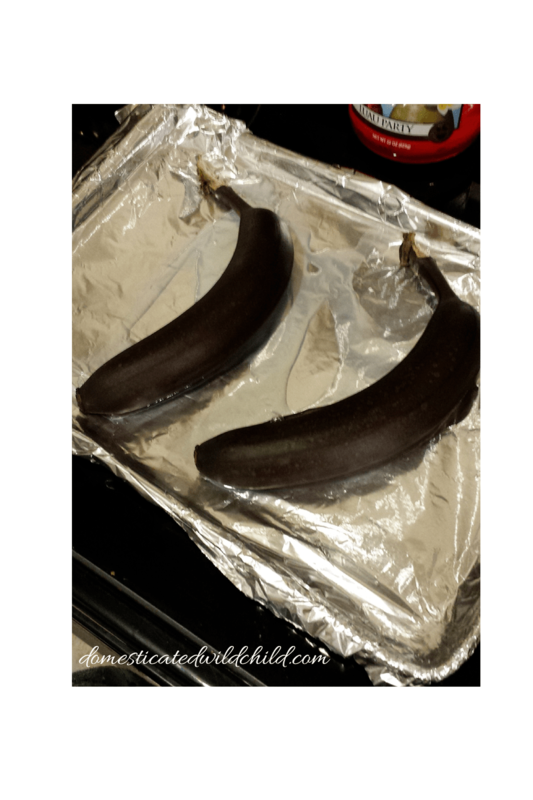 It always seems that whenever I want to bake banana bread or muffins I’m usually looking at practically green bananas in my kitchen. 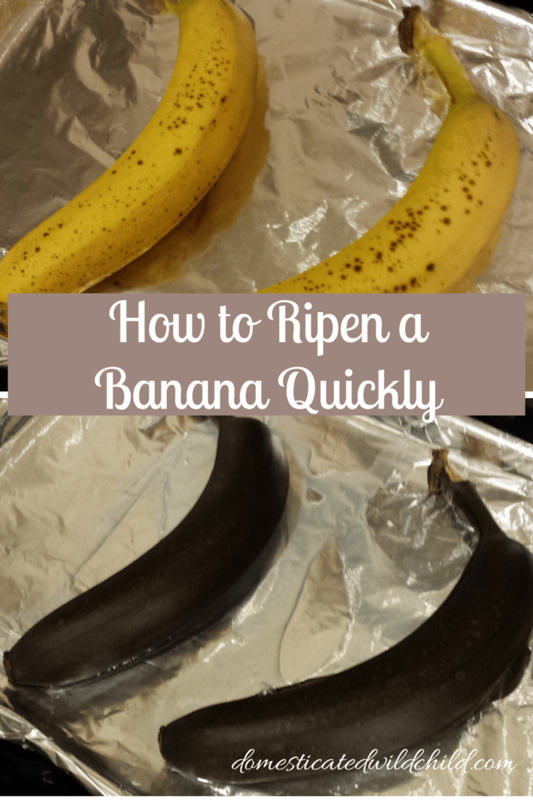 Luckily there is a way to ripen your bananas for baking use. All you need is an oven and 1 hour. You can put the banana right in the bowl and get your baking started. 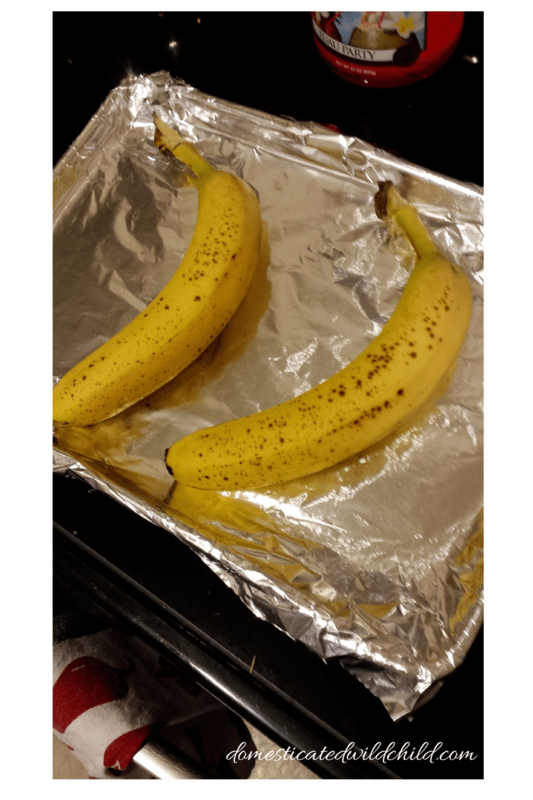 Separate your bananas and put them on a lined baking sheet. 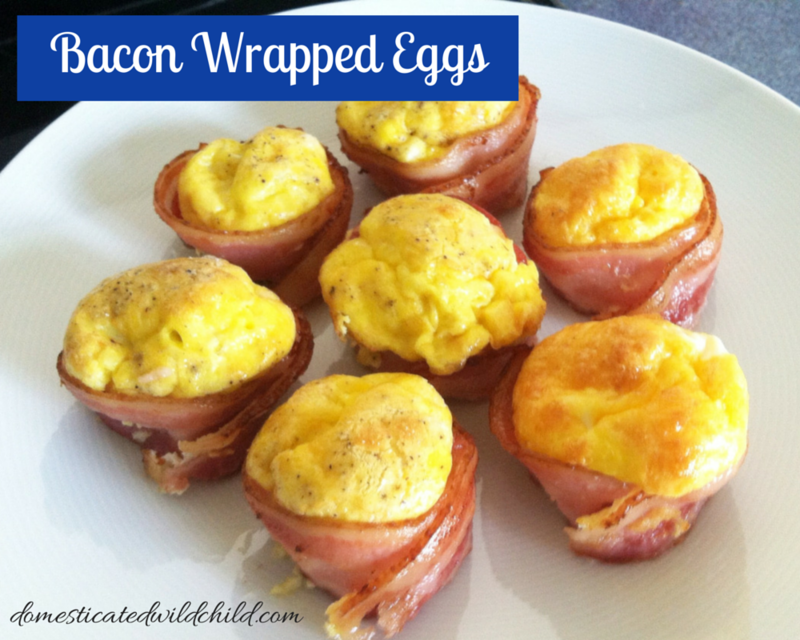 Bake them for 30-40 minutes. You know they are done when the skin is shiny and black. Yes it looks like you’ve burned them to a crisp and they are useless but they are not. The heat makes the bananas soft and sweet. Perfect for baking. Let the bananas sit for 30 minutes before you use them. They will be HOT! They you can cut the ends off and squeeze them into your bowl. No more planning your baking around waiting for your fruit to ripen. Hello banana bread!